This is a commissioned saber that I did as part of a series of sabers from the 90’s video games Dark Forces II and Jedi Outcast. it is a static hilt for display only. 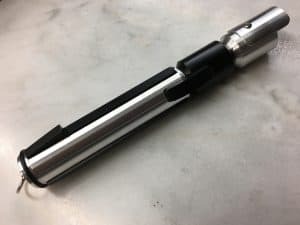 See more photos and info about this saber in the gallery page.